11mm Mondia Watches were established in 1935 in Le Locle, Switzerland by Mr Paul Wermot a highly skilled watchmaker with a good business ability. 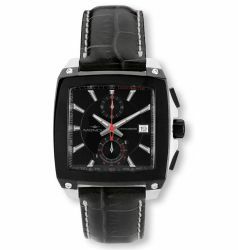 He designed and made his first watch in this year which was the first of a long string of successful models. His vocation for the precision, the passion for the mechanics, the care for the details allowed the company to gain many good customers over a short period of time. The continuous updating of the models, the use of good materials worked with refined technologies, the care in every particular detail allowed 11mm Mondia Watches to obtain an important position in the European market, in particular in Italy, where the designs of the watches were particularly tuned to Italian taste. This position grew stronger until in 1970 the 11mm Mondia Watches brand became a part of Zentih covering the middle range of the market and due to its creativeness and to a good relation between price and quality, the company continued to grow and maintains its successful position in European markets today, and like before, particularly in Italy where the designs and styling is very Italian.